Apostles | Wait…So That's What Catholics Believe?!?! Of all the things we know about Jesus… through the Scriptures, through the Apostles… I’ve never heard Him repeat Himself without a reason or speak a word without meaning. So in this very short Gospel passage we hear today, we should have perked up a little when Jesus spoke the exact same phrase two times. It wasn’t by accident! The phrase he speaks is, “Peace be with you.” To which every good Catholic should reply, “And with your spirit!” Now if Jesus has a purpose for everything He says, it would behoove us to discern what that purpose is. Let me refresh your memory as to what happens in John’s Gospel right before the passage we hear today. It’s the Sunday of Jesus’ resurrection. Mary Magdalene, Simon Peter and John just discovered that Jesus’ tomb was empty. Jesus then appeared to Mary Magdalene and told her to tell the other disciples that He would be ascending to the Father very soon. By now, the Jewish authorities knew something wasn’t right. They’ve probably heard stories and rumors that the Disciples have somehow tricked people into thinking Jesus has resurrected by stashing His body somewhere. The Disciples were being hunted down for questioning. They were hiding behind closed doors…. full of hope and anticipation…. full of fear of the unknown… perhaps even afraid that they would be crucified next if found. How many times do we allow our lives to spin out of control due to fear and anxiety? How many times do we lose control of reality simply because we don’t know what it going to happen next? How many times do we try and hide behind locked doors rather than confront our fears? In spite of all of our fears and trials that we may be facing, Jesus reminds us in today’s Gospel that He is the only one who can truly give us peace. We can’t lock Him out. He is ALWAYS in our midst offering us His divine peace. So the surest was to sustain the peace of Jesus Christ is two fold: 1. Go out and spread the joy of the Gospel, and 2. Offer forgiveness. How does this sustain peace you ask? Let me ask you this: Do you feel more at peace when you talk about death, destruction, evil, and failure OR when you talk about happiness, joy, love and excitement? The Gospel message is the ultimate love story. If you continually talk about and share this love story to others, you will be more at peace even if the world is falling in around you. You see this love story ends with you being embraced by Jesus Himself in heaven. This world is temporary. Heaven is eternal. I don’t know about you, but that gives me peace. Now, I know there’s at least one person out there thinking, “Sure, that sounds nice. I can do that. I can spread the Gospel message. But what about that whole ‘forgiveness’ thing you mentioned? Listen, You don’t know ‘so and so’ because I’ll never forgive what they did to me.” Sound familiar to anyone?? Yup, I said the surest way to sustain the peace of Jesus Christ is TWO fold. Spread the joy of the Gospel AND offer forgiveness. Don’t worry… I feel your pain! There have been a few people in my life that I swore I’d never forgive and it ate at me for YEARS. Interestingly, it was in the confessional that a priest pointed out that the only one that this was hurting was myself. So through much prayer, I forgave these people and the weight that was lifted off of my shoulders was unbelievable. The hate in my heart was replaced with peace and joy. To be clear, me forgiving them doesn’t mean I have to interact with them again. It means that I can move on to bigger and better things rather than reliving past hurts. And that, my brothers and sisters, leads to peace. Yes, it’s intimidating to spread the Gospel message in a world full of sin. Yes, it’s hard to offer forgiveness. But take heart…the Holy Spirit will help us, strengthen us and guide us…if we let Him in. Let us all continue to strive for true and lasting peace by spreading the Good News of the Gospel and by offering forgiveness to others. If everyone could do me a favor and hold their hands up and keep their eyes open… It appears to me that everyone has both of their hands and both of their eyes. So why in the world does Jesus say in today’s Gospel reading that, “If you hand causes you to sin, cut it off” and “If your eye causes you to sin, pluck if out.” Call me crazy, but I have a hunch that everyone in here, including myself, has used our hands or our eyes to sin at some point in our lives. But as I said just a minute ago, everyone in here has both of their hands and both of their eyes. So what’s the deal? Before I answer that, I want to tell you a story about a young girl named Catherine. She was the youngest of 25 children, many of which died at a young age. At the age of 6, she experienced a vision of Jesus, seated in all His glory with the Apostles Peter, Paul and John. It was believed that this vision helped her at a young age decide on her vocation. A year later, Catherine made a secret vow to give her entire life to God. By the age of 12, Catherine’s mother insisted that she pay more attention to her physical appearance in hopes to attract the attention of a future husband. To please her mother, Catherine started to wear bright dresses and jewels that were what all the young girls wore in those days. However, remembering her secret vow to give her entire life to God, Catherine repented of her vanity and declared that she would never marry. And when her parents insisted that she pursue marriage, Catherine cut off the attribute that was considered to be her most beautiful and prized possession…her long, golden-brown hair. For those who have never heard this story before, it is about St. Catherine of Sienna, one of the great mystics and a Doctor of the Church. Now, before all of your ladies go out and chop off your hair, realize this: beauty is not a sin…having long hair is not a sin…pursuing marriage is meant to be a good thing. 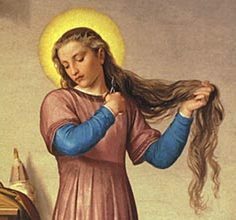 St. Catherine did not become a saint because she cut off her hair or remained single. She became a saint because, in her short life, she clearly and consistently surrendered her life to Christ. She tried to cut out anything that interfered with her journey to God. And as a passionate young girl, that meant her hair. So let’s get back to today’s Gospel reading from St. Mark. 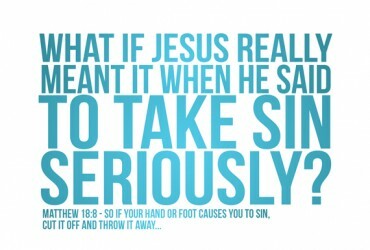 Is Jesus asking us to literally cut off our own body parts in order to avoid sin? Honestly, I don’t know. But think of all the ways we use our bodies to sin: our brains for evil thoughts, our tongues for gossip, our hands for fighting, our hearts for hate, our eyes for lust, our feet for walking past those who need our help, plus the other body parts that I won’t mention in the company of young children. If we were to cut off anything that causes us to sin, we wouldn’t have a body left! Now, I do know that God’s original plan for our bodies was for good. I also recall that, according to 1 Corinthians 6:19, “your body is a temple of the Holy Spirit within you.” So logically, it appears that we are not to take this Gospel passage literally, but try to figure out what Jesus is convening to us with such graphic imagery. This is not something that can easily be changed in one day. This is a continual journey from now until your physical death. We all slip up from time to time. The glory of it all is that with each new day, we get a new chance. Remember, every saint has a past and every sinner has a future. A lot of what that future holds is out of your control. But how you handle what the future throws your way, now that IS something you can control. So like St. Catherine of Sienna, whether you live a long or short life, make sure that each day you try to cut out sin by clearly and consistently surrendering your life to Christ. After all, he surrendered His life for you! When I was a kid, I always loved celebrating holidays like Christmas, Easter, Halloween and my birthday. Admittedly it was because they involved me getting presents and candy which is probably why I never cared much about Groundhog’s Day. The problems was, the closer I got to the actual day, the more excited I got, which made time go even slower. I could see the days getting marked off on the calendar, but it would seem to take forever to get there. I can sense this happening with the Apostles and Pentecost, which is the Feast we celebrate this weekend. Imagine…the Apostles walked with Jesus during His earthly ministry. They witnessed the miracles and heard the parables first hand. Then they watched him get tortured and crucified. The agony they felt, as their Saviour lay dead in a tomb, must have been unimaginable. However, their grief was turned into absolute joy at His resurrection, which confirmed that Jesus was who He said He was…God’s Son. And now, just before His ascension, Jesus makes the promise that He will be sending the Holy Spirit to strengthen and guide the Apostles in all truth. And just like that, Jesus ascends and the wait for the Spirit begins. The problem is, unlike the holidays I mentioned earlier, the Apostles didn’t know when the Spirit would be coming. So they waited and they waited and they waited some more. With each passing day, I could imagine they would grow a little more anxious. Possibly even start to doubt their faith. And with each day without the promised Holy Spirit, it may even have felt like time was standing still. How many times has your faith been pushed to the edge? Have you ever felt abandoned and alone? 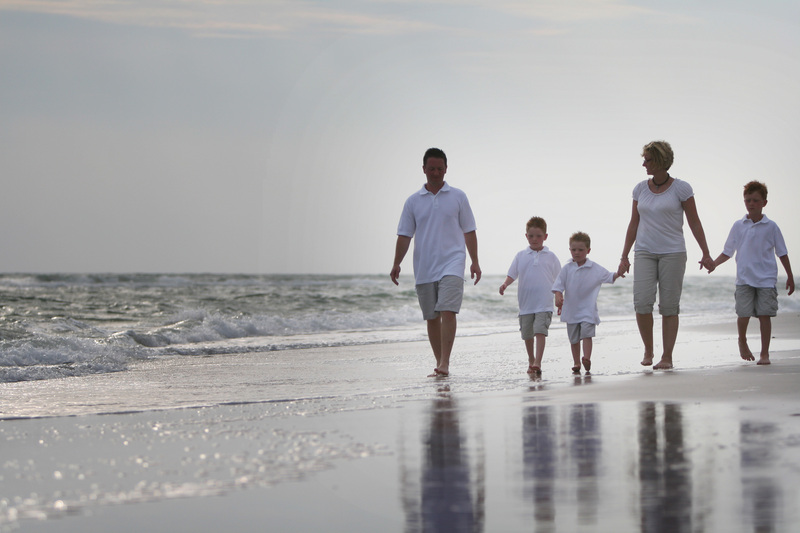 Imagine a parent who loses their child in a car crash, a wife hearing of her husband’s terminal cancer diagnosis or someone having to file bankruptcy on a family business because after years of blood, sweat and tears they just couldn’t make the ends meet anymore. I could go on and on with examples but the point here is that we all have experienced times in our lives when we have felt like God was a distant figure. Life is chalked full of ups and downs. In those down times, it’s so easy to feel abandoned and allow your faith to grow weak. If you stay there, your life will be empty and without joy. But if you constantly strive to be open to God’s Love and His Spirit, even in those dark times, good things can happen. Like me listening to that song, we all need to cling onto those little things that will help keep us open to the Spirit and our minds focused on God. That’s what happened to the Apostles in the upper room on Pentecost. They were scared and alone. But they clung onto Jesus’ promise that the Holy Spirit was coming. And when it did come, the entire world shook! Scripture tells us the Spirit descended like a strong wind that definitely got everyone’s attention. The Holy Spirit then empowered the disciples to begin their mission, which was to boldly proclaim the Good News of Jesus Christ to the world. They were no longer frightened. Peter himself went out of the upper room immediately to address the crowd and apparently gave one heck of a sermon because, according to Scripture, 3000 people were baptized after hearing the Good News on Pentecost. The Apostles were so strengthened in their faith that, with the exception of St. John, they were all eventually killed for that faith. Where they were once hiding and afraid, now they live on as martyrs in heaven. The same Holy Spirit that descended on and strengthened the Apostles at Pentecost is the same Holy Spirit that is guiding you right now. And here’s the thing, if you are fully open to Him, He WILL strengthen you and lead you like no other one can. He WILL give you the gifts you need to keep moving forward, so that you can spread the Good News of Jesus Christ to the world just like the Apostles did. And when things don’t seem to be going as planned, rather than distancing yourself from God, pause for a moment, and ask the Holy Spirit to strengthen your faith and keep you focused on God. No matter what you are going through in life…if you don’t know what to pray, if your faith is tired, if tears fill up your eyes…trust in God…trust in His Son…trust that the Holy Spirit WILL guide you to the truth…Be afraid no more! With strength and confidence from the Holy Spirit, let us all be a little bolder as we proclaim Jesus Christ to the world! **Below is the song from I Am They that I referenced in my homily. The ENTIRE album is awesome and I highly recommend you getting it!